« Look! Up In The Sky! It’s A Mystery Plane! And There It Is Again. And Again. And Again. Me: You know it was inevitable, right? 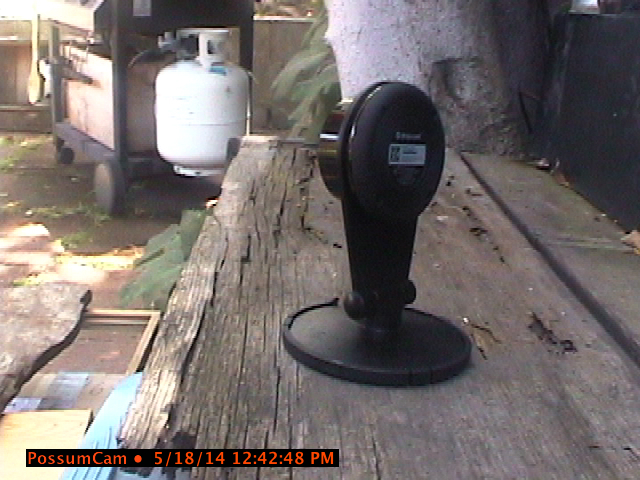 That I’d duct tape a beat up DV cam to the eyepiece of the spotting scope pointed at the mama-to-be hummingbird and hook it up to a laptop to send images of the nest (with or without the little lady) onto the internut every few seconds. Not sure how long I’ll do this until I get bored and I probably need to bring the computer in at night, but it’s broadcasting for now. Refresh the page for any subsequent images. I might also add, the males are ramping up their courtship efforts aimed at impressing her, and it really is quite a sight to behold (and near impossible to capture on camera — trust me, I’ve tried). The primary display consists of a series of slow ascents and decents in the shape of a “U,” (think of a skaterboarder or snowboarder going back and forth in a half-pipe). At the bottom the male pauses hovering and sings a loud squeaky song at the female. After several of these passes the male climbs high into the air almost to the point of disappearing and then divebombs back down super fast letting out a single sharp chirp before it levels off and flies away. This entry was posted on Friday, February 3rd, 2012 at 3:54 pm and is filed under animals, nature, updated. You can follow any responses to this entry through the RSS 2.0 feed. Both comments and pings are currently closed.